The two pre-teen girls opened their mouths wide with a look of shock in their eyes as I walked in the door. They nearly choked on their pizza, gawking at me as I entered the Quik-Mart in Perry, OK. The blond stared at my new Lissa Hill Half Chaps and the brunette seemed enamored with my pink hair and shaved head. Most likely they had never seen anyone quite like me strolling into their local hangout to use the Ladies Room. When I finished washing up, I couldn't resist talking to them. "You ladies look like you're having a good day. 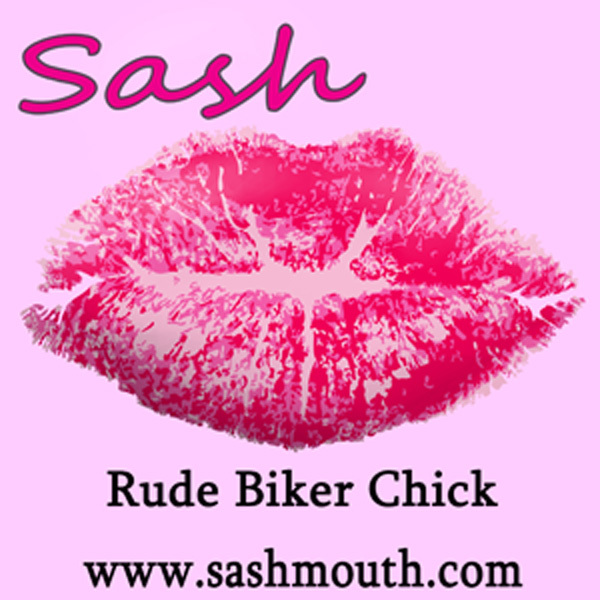 I'm Sash." They stared, barely able to speak. "I see you here, looking so pretty and full of potential, and I wanted to share something with you. You can do anything you want in life, so don't let anyone tell you different. Anything you set your mind to. Do you see that little red motorcycle out there? That's mine and I've been riding her for the last 6 weeks from California." They turned their attention to Katie Scarlet, then back to me. The blond finally spoke. "You rode all the way from California to come to PERRY?" "I'm on my way to Tulsa today. We're just making a pit stop." 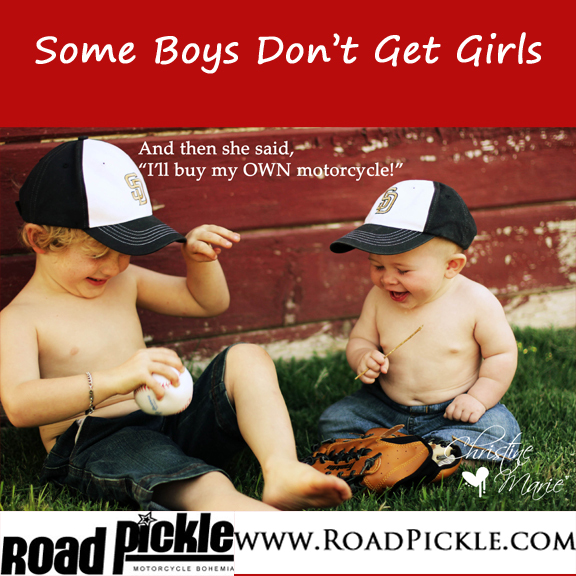 The three of us spoke for about 5 minutes about the Road Pickle trip I'm on and women riding motorcycles. They asked a few questions but the shock never left their eyes. "I'm no different than you ladies. I just decided I can do this. Whatever you want to do, decide you can do it, and then get to doing it. Don't ever let anyone, anyone, tell you that you can't, OK?" "OK" they both whispered through their smiles. While riding, I thought about those two young ladies for hours after. I could see the admiration in their eyes, and although flattered, I knew I couldn't miss this chance to pass on a good message. These two girls in this tiny town in Oklahoma probably don't meet too many women who inspire them to go beyond societies limits and their family's expectations of them. I wanted them to KNOW they could reach for any star and grab it. All they need is to believe. I wish I had met someone like me when I was they're age. My inspiration came from books, movies and my teachers. It seems every year of junior high and high school I had one teacher or another take me aside to tell me I was different, I had something special, and to always push forward to be true to myself. Often these same teachers knew a bit of my terrible family life so they wanted to give me what I was missing at home. Encouragement. I hope these beautiful young ladies, filled with potential and dreams, realize I was talking about much more than motorcycles. I'm talking about dreams, hopes, goals, and believing in oneself. I want them to know that while life is filled with disappointment and setbacks, the really happy people are the ones who don't give up riding. . . riding their dreams. For me, Katie Scarlet is my dream. She delivers me from my past, my limits and my fears. She's my magic carpet, my wild pony, my angel. I hope I keep riding, for the rest of my life, because Katie has taught me I can. Believe it and it will happen. Ride Ladies, Ride those dreams. I hope you ride. A lot of the young kids today have no aspiration to do anything out of the norm. A job at the local Walmart, crappy pay and a miserable life is what's ahead. I hope you opened their eyes a little. I love that you talked to them. You inspired me to put myself out there a little more and not wait for someone new to make the first move. I have two teen nieces; 15 & 16. I tell them all the time that they have so much potential & opportunity. Sadly, the younger is headed down a very bad path & the older has zero motivation. They come from a single parent home, my sister dropped out & NEVER worked. Their fathers have turned their backs. I do my best to make them open their eyes but I'm just they Aunt. They've been taught that it's easier to do nothing & live off others. They're young enough to change and I hope they do. I've offered to teach the oldest to drive and ride. No motivation =no desire. So sad. This post made me smile. Good for you for stopping by their table and giving them some girl power. Well behaved women rarely make history!! Not that we aren't well behaved on our motorcycles, a lot of uninformed people just assume the opposite most of the time it seems. 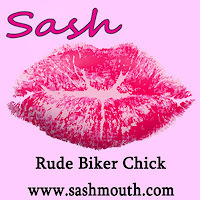 Sash - thanks for giving hope and courage to the young'uns. It is so hard today to make kids see beyond their little box. I have a 15 almost 16 year old and I tell her every day that she can reach and try for whatever it is she wants. She has to put herself out there to do it though and I will help her along the way. I too stop and talk to girls when I see them looking at my bike or when they amble up to ask questions. I think there anything ispossible as long as you try, if you don't try then that is where the 'im'possible comes. Good for you! Ride on! Your an inspiration in more ways than you know! Thanks for being the woman that you are and encouraging words go a long way.